Suneohair - Kimi To Nara スネオヘアー / 君となら Album: 8 エイト Year: 2013 All rights reserved to Suneohair and his recording studio KING RECORDS. 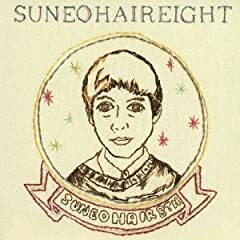 Suneohair - if スネオヘアー / if Album: 8 エイト Year: 2013 All rights reserved to Suneohair and his recording studio KING RECORDS. Suneohair - one two sleep スネオヘアー / one two sleep Album: 8 エイト Year: 2013 All rights reserved to Suneohair and his recording studio KING RECORDS.